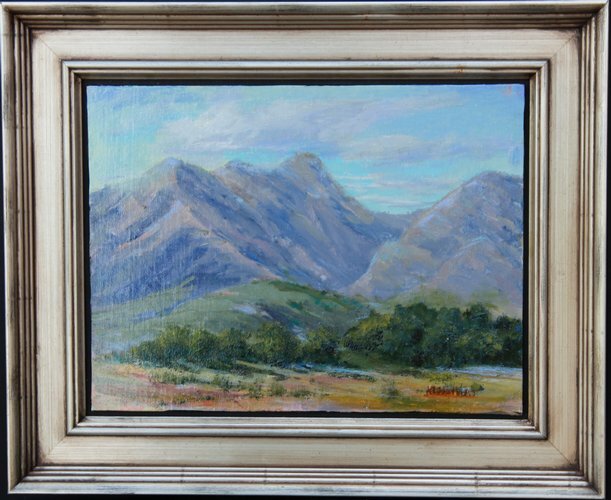 Paintings of the Desert, in particular of Southeast Arizona, my winter home in Green Valley: Santa Rita Mountains, Madera Canyon and Tucson. 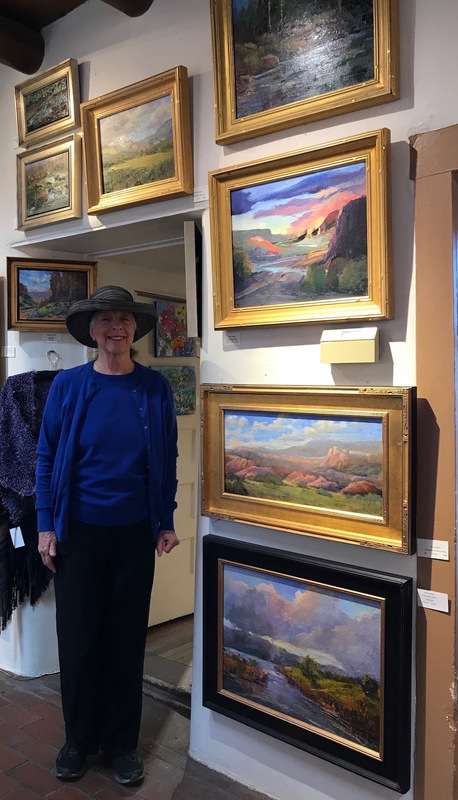 Paintings reside primarily in my Arizona studio and home. 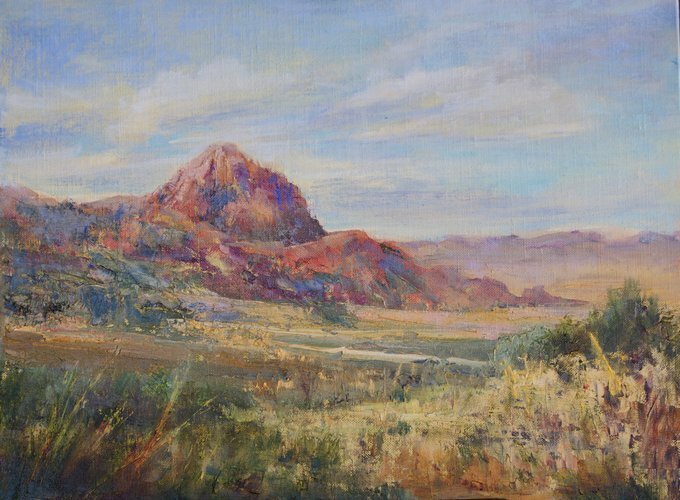 Includes paintings of the desert area of Borrego Springs, California. 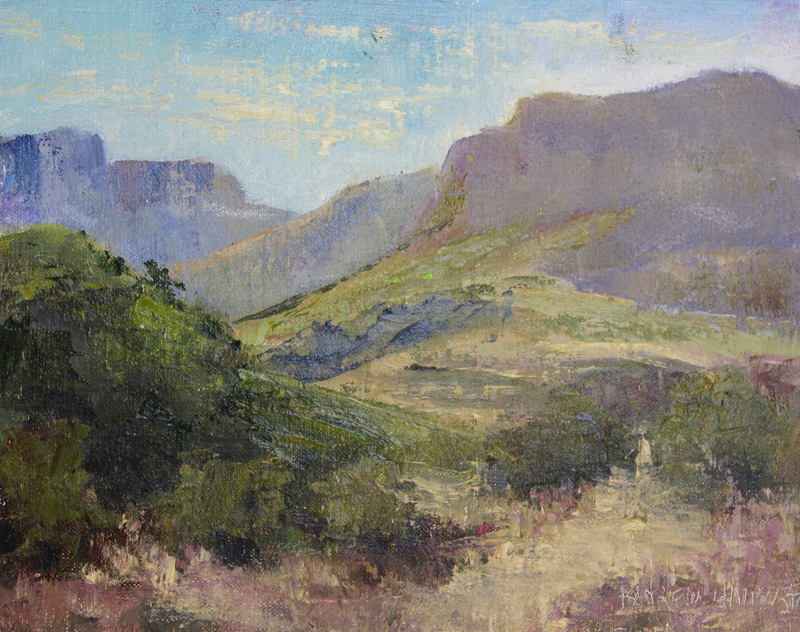 "En plein air". 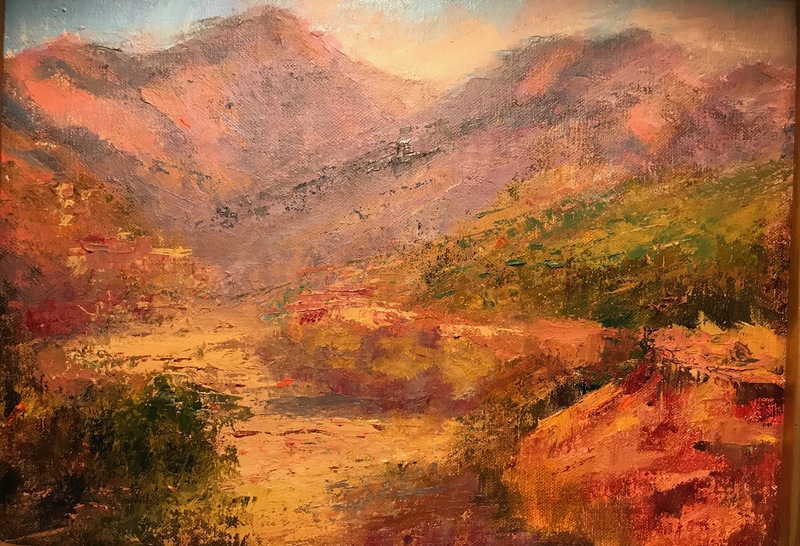 No I wasn't actually riding but I felt like it; I could just imagine a cowboy riding off into the the arroyo on the way to the Santa Rita Mountains. 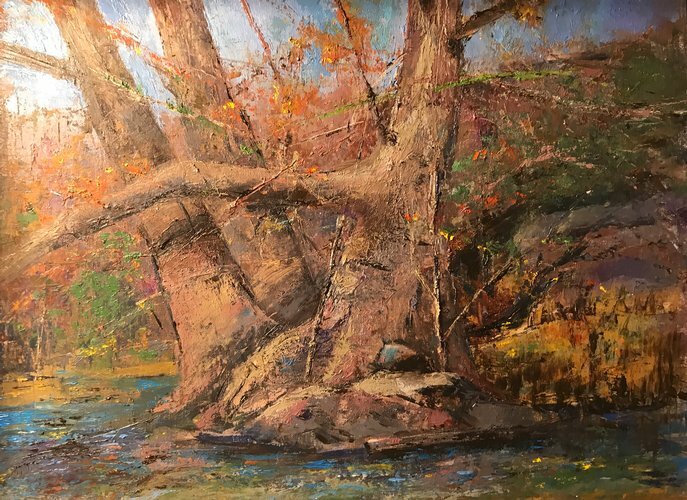 I've painted this a few times "en plein air" when the Madera Creek overflows and creates a nice foreground for this special Arizona Sycamore Tree setting. This was painted in the studio based on the plein air studies and photos. 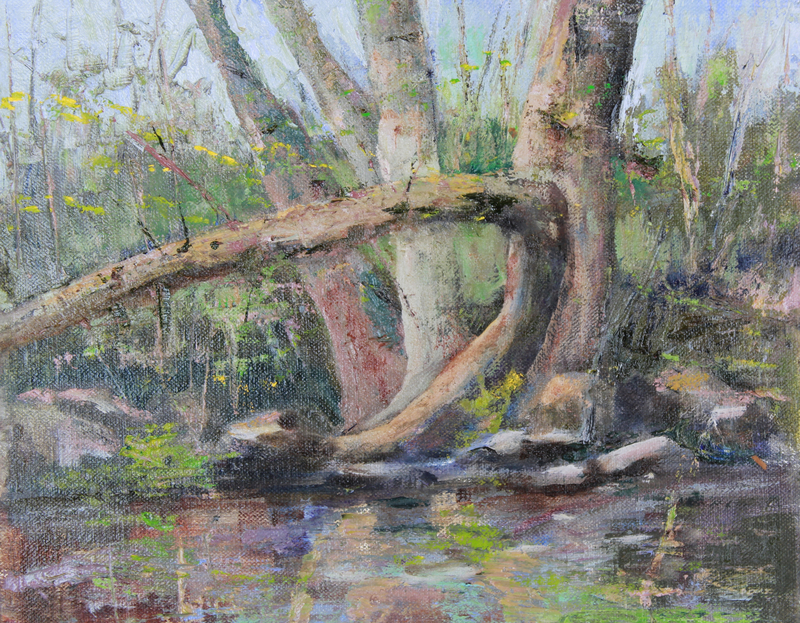 I intend to paint at this location many times. "En plein air" and touched up in Arizona studio a year later (finally). 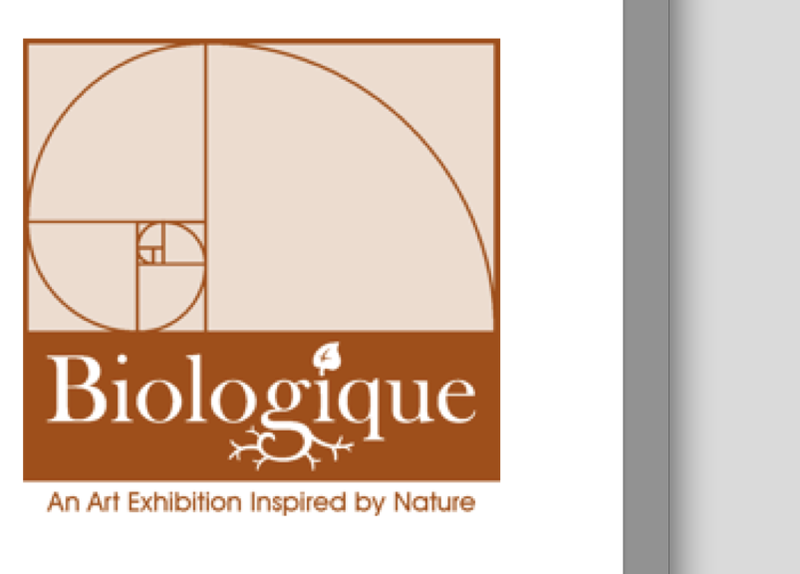 Inquiries: karen.halbert@gmail.com. 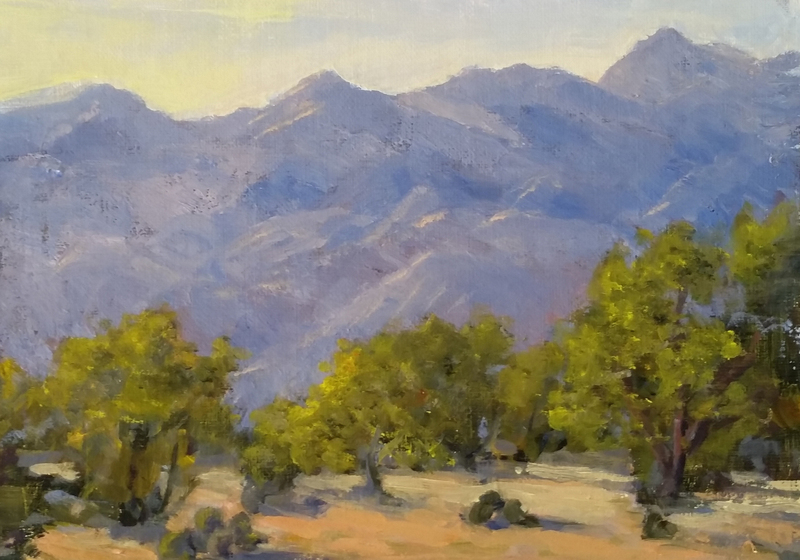 En plein air at the 2016 Plein Air Convention. 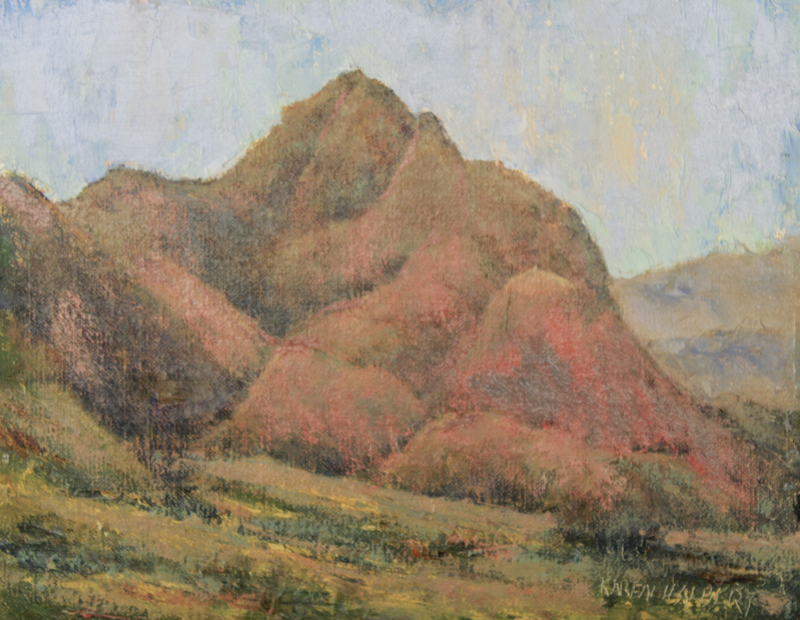 We painted every day in Catalina State Park. I was never bored painting variations of this beautiful area. 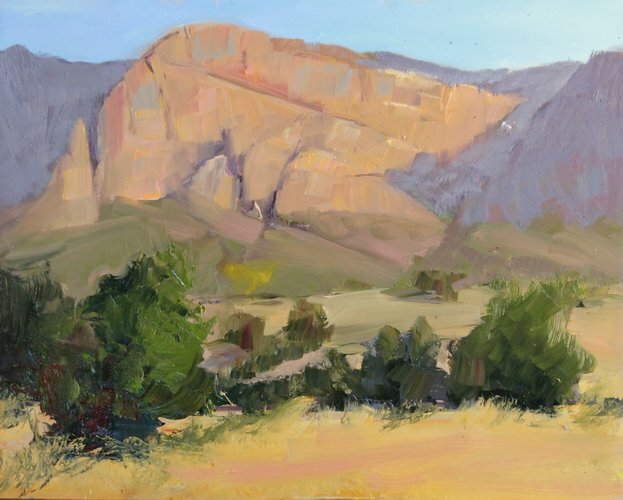 Juried in to the 2016 Plein Air Artist of Colorado Annual Member Show. 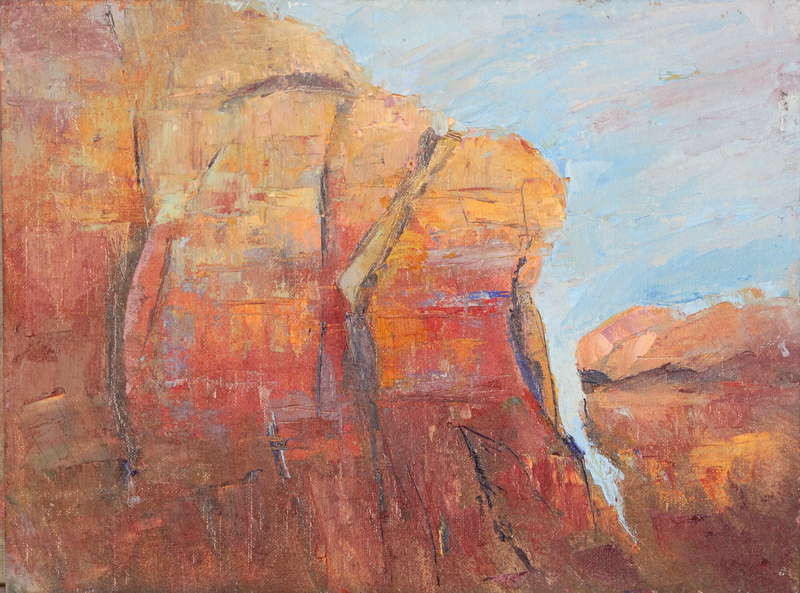 I sold a smaller version of this painting at the Plein Air Convention in Tucson and decided to do a larger one. Sold Nov 2018 by the Marigold Arts Gallery. "En plein air" in Arizona when the poppies were in full bloom. I will have to watch for them to blossom again in the March time frame. The incomparable, Elephant Head, of the Santa Rita Mountains, painted "en plein air". "En plein air" in Madera Canyon, Arizona. 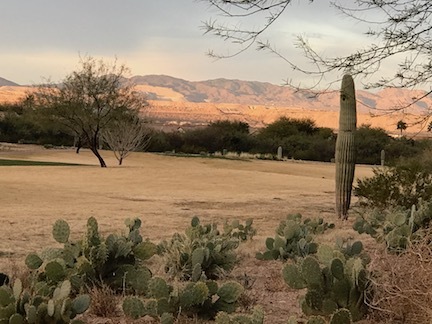 Inquiries: karen.halbert@gmail.com (in Arizona). We have 4 Palo Verde trees in our new home. 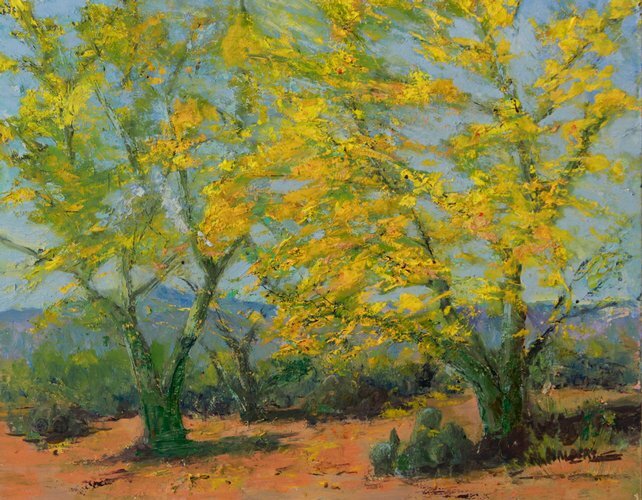 This is my first Ariizona Spring and I have just been introduced to these beautiful trees, with green bark and magnificent yellow blossoms. Palo Verdes this year were supposed to be spectacular. Well, we'll wait for next year to compare. In the meantime I will have this painting (or photographs anyway, once it sells). 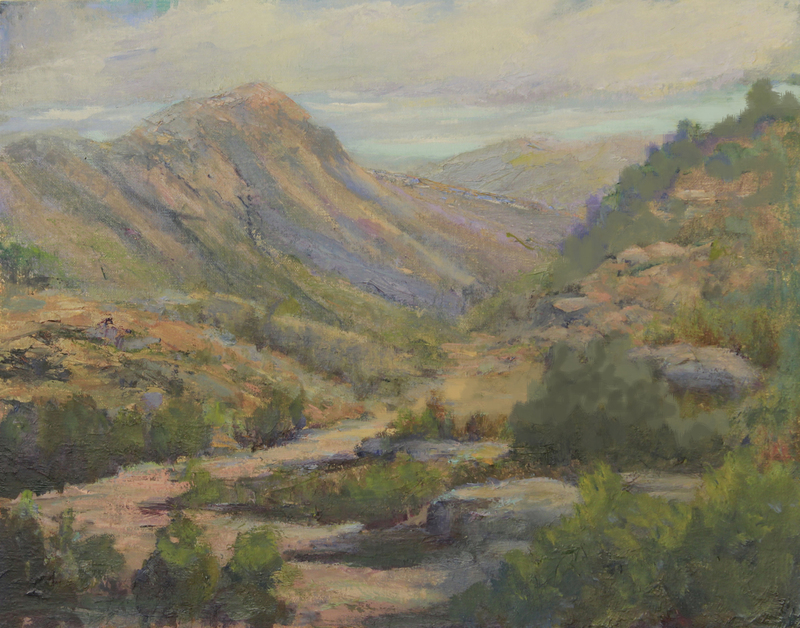 Painted from our front portal in the Santa Rita Mountain area. 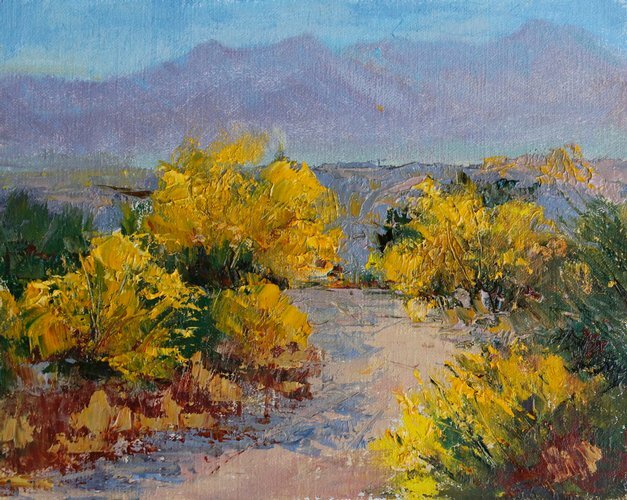 "En plein air" near Tubac, Arizona. Painted in southeast Arizona on the road up toward Madera Canyon. 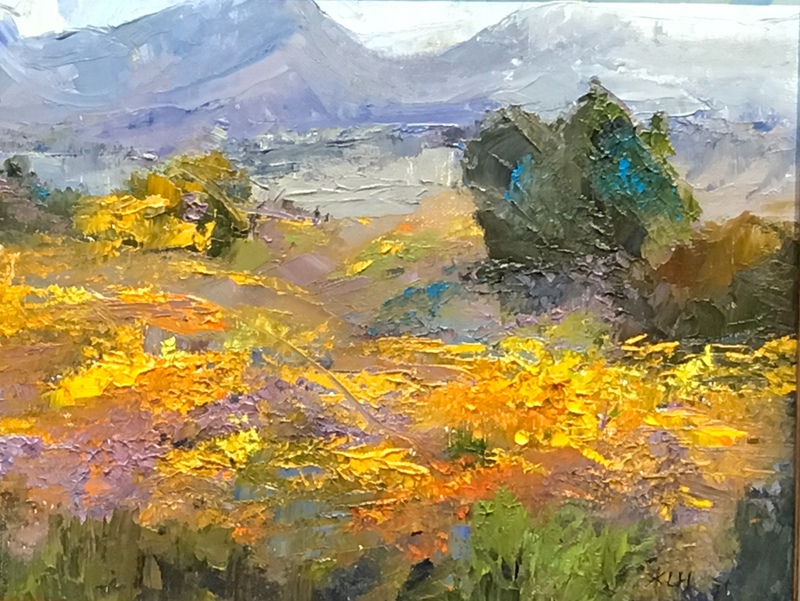 Sold at the Annual Plein Air Painters of NM show in Taos. 2013? 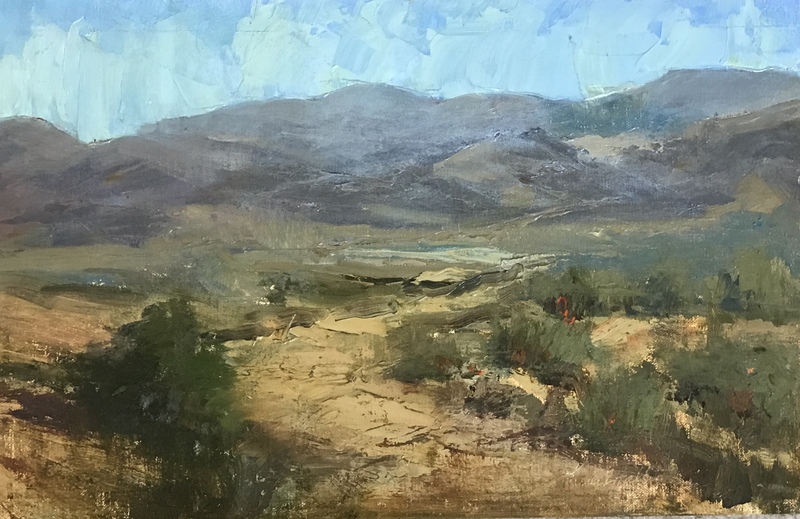 "En plein air" near Madera Reserve. The Palo Verde are in full bloom. What a majestic site. They remind me of the feeling when the Cottonwood are in bloom in New Mexico. 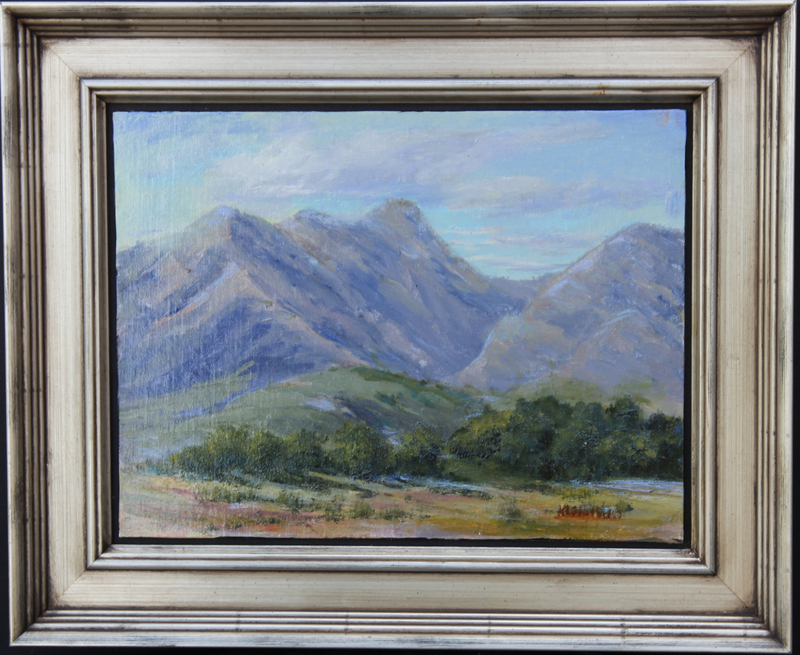 Sold at the Las Campanas Charity Annual Silent Auction - July 2016. Sold at the 2016 Plein Air Convention in Tucson. 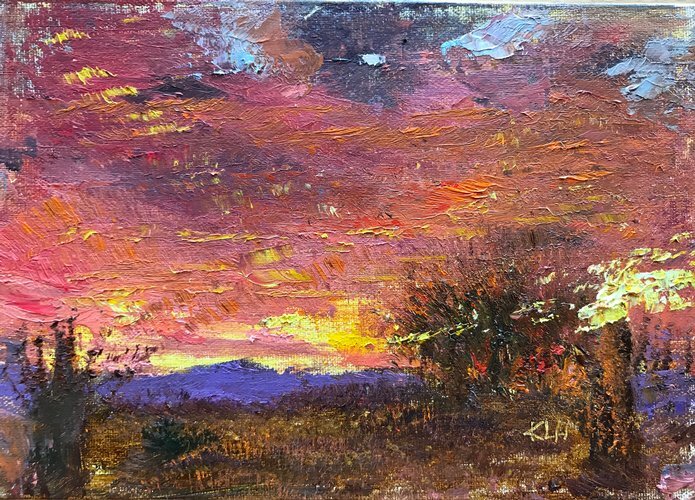 "En plein air" from our Arizona back yard in the morning. 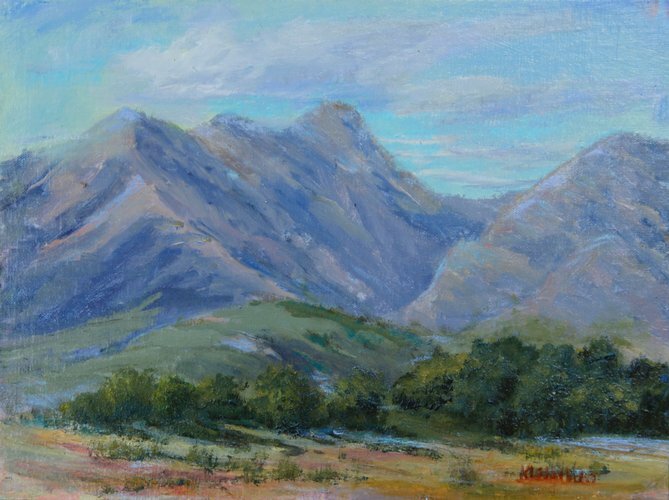 Juried In to the National Plein Air Painters Colorado exhibition, at the Mary Williams Gallery in Boulder during the Month of August 2015. 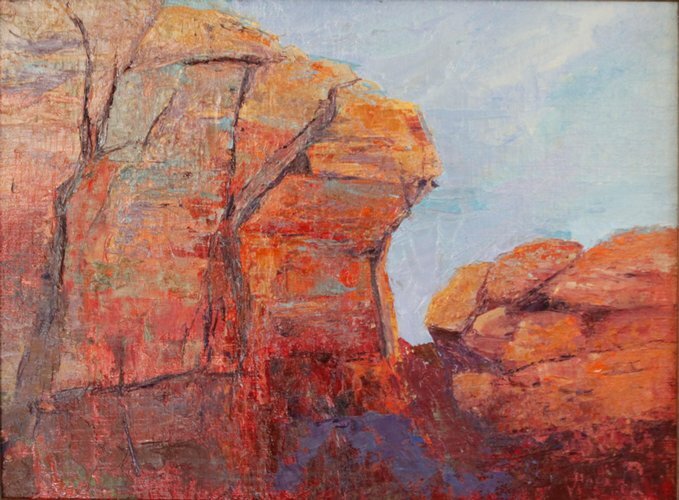 Painted "en plein air" in my early days in Arizona from the Proctor Parking Lot in Acrylic. Still one of my favorites. This was painted years ago (@2014?). 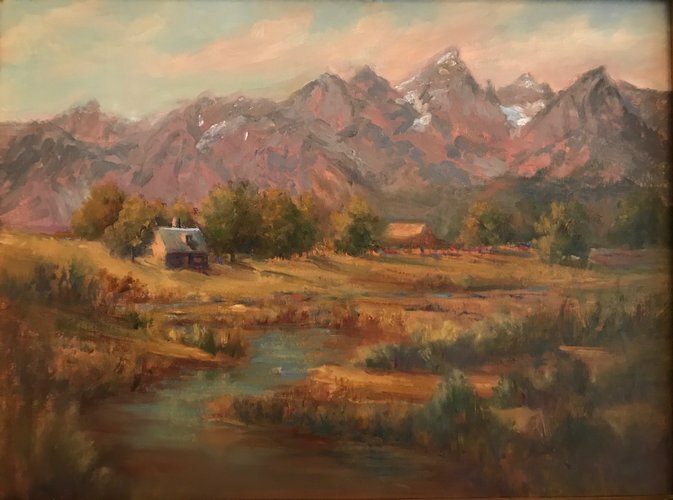 I loved visiting the Tetons. 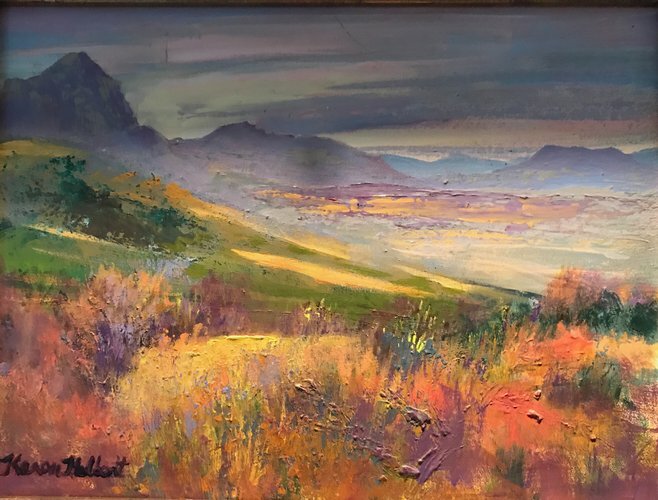 But now that I am in Arizona during the winter, I realized that this painting could have been done here, right from our back yard facing the Santa Ritas, with different houses and perhaps an imagined creek flowing away from us as the snow melts. I will repaint this.